Polaris Rejuvenation Offering Integrative Medicine for Optimal Wellness – Serving Columbus, Dublin, Powell, Westerville, Reynoldsburg, Hilliard, Grove City, New Albany and surrounding areas. The absence of get-up-and-go can be a hard pill to swallow the older we get. Energy levels seem to crash; stubborn body fat collects; strength and endurance give the impression as if they have caught the first flight out of town. Sarcopenia is a general condition that affects almost all adults at some point throughout the lifecycle. It is a disorder linked with an age-related health decrease resulting in symptoms such as poor coordination, trouble sleeping, weight gain, lessened endurance, and lack of muscle mass while contributing to a lower quality of life. Around the age of 25, muscle mass can begin to weaken and remain through adulthood. By age 30, the visual characteristics of weight gain can camouflage the decline of muscle mass, and by the age of 40 muscle mass and strength has deteriorated noticeably leading to the disagreeable symptoms of associated with Sarcopenia. Luckily, a new therapy has proven to help counteract these adverse symptoms in combination with a regular diet and healthy lifestyle – Sarcotropin. Sarcotropin has emerged as an effective and more wallet-friendly alternative to human growth hormone (HGH). 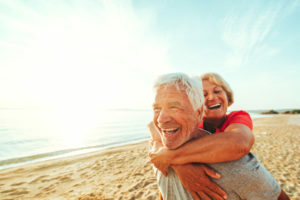 Sarcotropin – similar to its well-known, yet highly controversial counterpart, HGH – offers comparable gains with regard to reducing the effects of aging. Sarcotropin® is a medical food containing ingredients that oppose Sarcopenia – the progressive loss of muscle or lean body mass (LBM) that can happen throughout the aging process. Using scientifically-based evidence, Sarcotropin has been specially formulated to resist the contributing molecular deficiencies that are related to the onset of Sarcopenia by joining essential ingredients in a medical food prescription intended to complement a standard diet. While detecting the anabolic significance of growth hormone, substantial attention has been focused on the mixture of ingredients for the Sarcotropin formula that encourages instinctive production and secretion of growth hormone within the body. Sarcotropin treatment was designed for adults in search of greater rejuvenation and liveliness. To determine if Sarcotropin therapy is right for you, contact Polaris Rejuvenation to schedule an appointment.